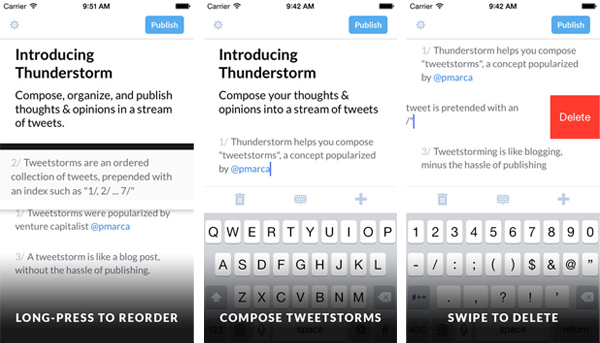 The iPhone app Thunderstorm lets users create "tweetstorms" with an easy-to-use interface. Twitter’s 140-character limit has a special place in the hearts of Twitter users everywhere, except for the likes of Marc Andreessen. The Silicon Valley entrepreneur has a style of tweeting in long strings of texts typically reserved for long-form journalism, which has garnered him plenty of negative attention. A tweetstorm is a series of 5-15 tweets that are sent in quick succession — creating mini-essays on Twitter and bypassing the 140-character limit. There are websites and web apps dedicated to his “art” of showering followers with the never-ending flow of tweets. 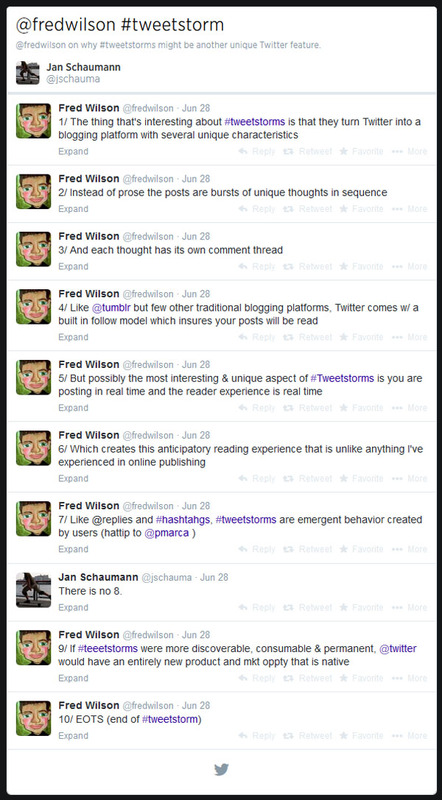 The latest is an iPhone app, Thunderstorm, that lets users create “tweetstorms” with an easy-to-use interface. All you have to do is compose and organize your tweets in the order you want them published. Then, decide the period of time between each tweet. When you’re ready, just hit publish, and Thunderstorm does the rest.